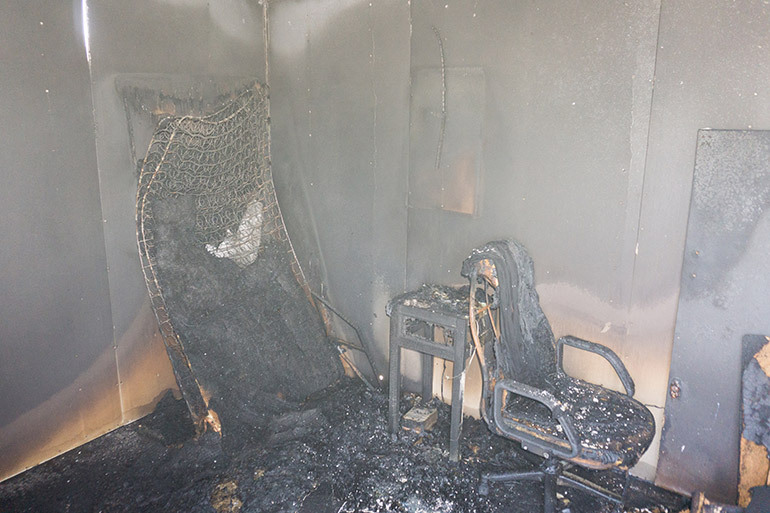 Fire and Smoke Damage​​ :: Law Offices of Geoffrey Gilbert, P.A. Fire damage and smoke damage is one of many perils covered by standard homeowner and commercial property insurance policy contracts in Florida. Kitchen fires, electrical fires, lightning, reactions of flammable household products, defective appliances, and negligence are common causes of burned houses, apartment buildings, and businesses. Despite the ordinary nature of the loss (flames of a fire obviously destroy things), there are many reasons that an insurance company may attempt to refuse to fully indemnify its insured. Florida’s Valued Policy Law requires that the insurance policy limits be paid when a building is a total loss—however, the extent of the loss from the fire and whether the building can be rebuilt is often disputed. When an insurance company mistakenly believes that the insured had a hand in the fire, there will be questions involving the incendiary cause of the fire (whether it was caused by an accelerant). Sometimes an insurance company that suspects arson will impute the wrongdoing of another to an innocent insured to deny the claim. All of these issues frequently require engineers and contractors for professional assessments of the damages actually sustained by the fire and smoke throughout the structure, along with fire re-construction experts for forensic analyses of the cause and origin of the fire. We realize time is of the essence in fire claims. Depending on the severity of the fire, the ruin of the living space or working space can result in the displacement of a family, tenant, or a business. When this happens, additional living expenses, business loss, and loss of rent claims arise. We will pursue these claims from the start while requiring the insurance company to conduct a swift investigation without frustrating delays. The Law Offices of Geoffrey Gilbert, P.A. are Florida insurance attorneys for fire and smoke damage claims. We would be pleased to consult with you about your insurance matter, and invite you to contact us to set up a free case evaluation. We work on a contingency basis, which means out-of-pocket payment for hourly fees and costs is not accepted. Our legal fees and costs are not charged unless we recover insurance benefits in your claim, and most frequently Florida law requires the insurer to pay for your legal fees and costs.